John Collins, the youngest of the four children (two daughters and two sons) of Arthur Collins, master builder, and his wife, Hannah Priscilla Edwards, was born at Hawkhurst, Kent, on 23rd March, 1905. Collins was educated at Cranbrook School, and at Sidney Sussex College. He graduated from the University of Cambridge in 1928. Later that year he was ordained in Canterbury Cathedral and became curate of Whitstable (1928–9). Collins became interested in the work of Albert Loisy, a French Roman Catholic scholar who had been excommunicated because of his liberal interpretation of the Bible. According to his biographer, Trevor Beeson: "The two men became friends and Collins began to question various elements in his own faith, as well as his conservative approach to politics and the ordering of society." In 1931 he became an assistant lecturer in theology at King's College. He was dismayed by the impact of the Great Depression on the working class that he became a socialist and joined the Labour Party. He was vice-principal of Westcott House (1934–7) before being appointed in 1938 as dean of Oriel College. On 21st October 1939, he married Diana Clavering Elliot. Over the next few years they had four sons, Andrew, Peter, Mark and Richard. On the outbreak of the Second World War Collins became a chaplain in the Royal Air Force. According to Trevor Beeson: "He was based at a training station in Wiltshire, where he conceived the idea of forming a fellowship of Christian airmen and airwomen who would meet regularly to study their faith and its practical implications. This experiment aroused considerable interest, though his choice of socialist speakers and his frequent challenges to authority brought him into serious conflict with his senior officers." In 1946 Collins helped create Christian Action, an organisation dedicated to encouraging people to take their religious convictions into the social and political life of the nation. This included campaigning for the abolition of capital punishment and helping the homeless. In 1948 the prime minister, Clement Attlee, also a Christian Socialist, appointed Collins to a canonry at St Paul's Cathedral so that he might devote more time to the new movement and provide it with a London headquarters. In 1950 he organized meetings in London and raised money in order to publicize the illegal role of South Africa in the United Nations mandated territory of South-West Africa (Namibia). In 1952 the African National Congress (ANC) under the leadership of Albert Lutuli, began its non-violent campaign against unjust and discriminatory laws in South Africa. Collins and his Christian Action group raised funds to help support the families and dependants of ANC members imprisoned by the South African government. A wealthy Durban businessman invited Collins to visit South Africa in 1954. It was hoped that Collins could be persuaded to end his campaign against the South African government. 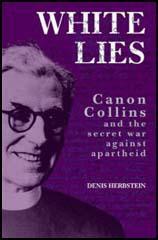 Collins was disgusted by what he heard and saw in South Africa and this only intensified his campaign against apartheid. Trevor Huddleston wrote: "I am certain, and am proud to go on record saying it, that informed opposition to apartheid... owes as much to John Collins and Christian Action as informed opposition to the slave trade owed to Wilberforce. And when history comes to be written the name of John Collins will have an equally honoured place. South African racist policy; the anti-apartheid movement; the consequences for world peace of all that happens in the area of race relations anywhere on earth... the fact that today these things are recognized and acknowledged as urgent international priorities is in large measure due to the unflagging dedication and enthusiasm of one man. I thank God for him." On 2nd November, 1957, the New Statesman published an article by J. B. Priestley entitled Russia, the Atom and the West. In the article Priestley attacked the decision by Aneurin Bevan to abandon his policy of unilateral nuclear disarmament. The article resulted in a large number of people, including Collins, writing letters to the journal supporting Priestley's views. 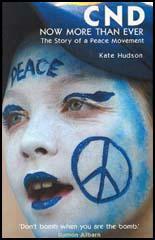 Kingsley Martin, the editor of the New Statesman, organised a meeting of people inspired by Priestley and as result they formed the Campaign for Nuclear Disarmament (CND). As well as Priestley, Martin and Collins the group included Bertrand Russell, Fenner Brockway, Vera Brittain, James Cameron, Victor Gollancz, Richard Acland, A. J. P. Taylor and Michael Foot. As Trevor Beeson pointed out: "The main public manifestation of the campaign's activities was a series of Easter marches to and from the nuclear research establishment at Aldermaston. The numbers taking part ranged from 7,000 to 20,000. Soon, however, there were serious disagreements. A breakaway committee of 100 was formed in 1960 to organize civil disobedience. This caused dissension, indiscipline, and violence in CND and Collins resigned from the chairmanship." John Collins remained at St Paul's Cathedral until his seventy-sixth birthday and after a brief retirement died in a London hospital on 31st December 1982. We ended the war high in the world's regard. We could have taken over its moral leadership, spoken and acted for what remained of its conscience, but we chose to act otherwise. The melancholy consequences were that abroad we cut a shabby figure in power politics and at home we shrug it all away or go to the theatre to applaud the latest jeers and sneers at Britannia. Alone we defied Hitler: and alone we can defy this nuclear madness there may be other chain-reactions besides those leading to destruction: and we might start one. The British of these times, so frequently hiding their decent kind faces behind masks of sullen apathy or some cheap cynicism, often seem to be waiting for something better than party squabbles and appeals to their narrowest self-interest, something great and noble in its intention that would make them feel good again. And this might well be a declaration to the world that after a certain date one power able to engage in nuclear warfare will reject the evil thing for ever. I am certain, and am proud to go on record saying it, that informed opposition to apartheid... owes as much to John Collins and Christian Action as informed opposition to the slave trade owed to Wilberforce. And when history comes to be written the name of John Collins will have an equally honoured place. South African racist policy; the anti-apartheid movement; the consequences for world peace of all that happens in the area of race relations anywhere on earth... the fact that today these things are recognized and acknowledged as urgent international priorities is in large measure due to the unflagging dedication and enthusiasm of one man. I thank God for him.